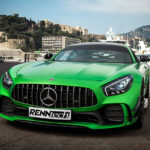 With the luxurious looks of an exquisite deluxe Mercedes coupe and monster power of a genuine AMG sports car, the Mercedes AMG GT R is the right choice for those looking for adrenaline rush. 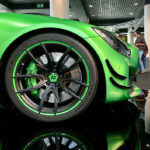 Designed for the track and coming with a personal record lap on the Nurburgring (7 minutes and 11 seconds), the fabulous German fighting machinery is also the subject of many tuning projects. 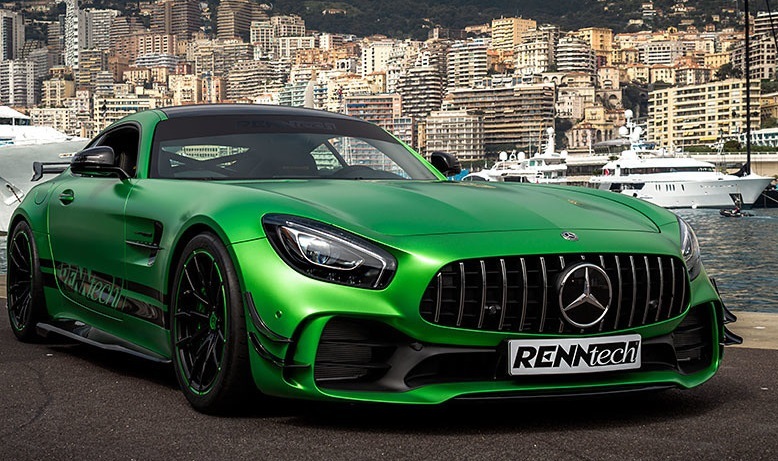 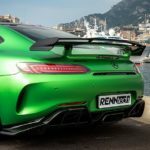 Part of Mercedes-Benz since 1999, RENNtech tuning firm from Florida has added a couple of enhancements to the below AMG GT R. The mods consist of a new power output and new aero body kits. 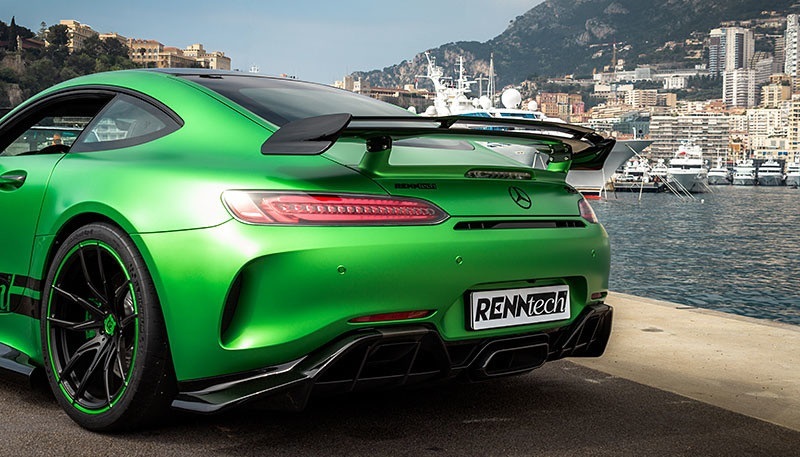 Speaking of which, the specialists from RENNtech have added some aero body parts like front bumper canards, extended rear diffuser, two-stage rear wing and side rocker panels, all designed to cope with the massive power under the hood. 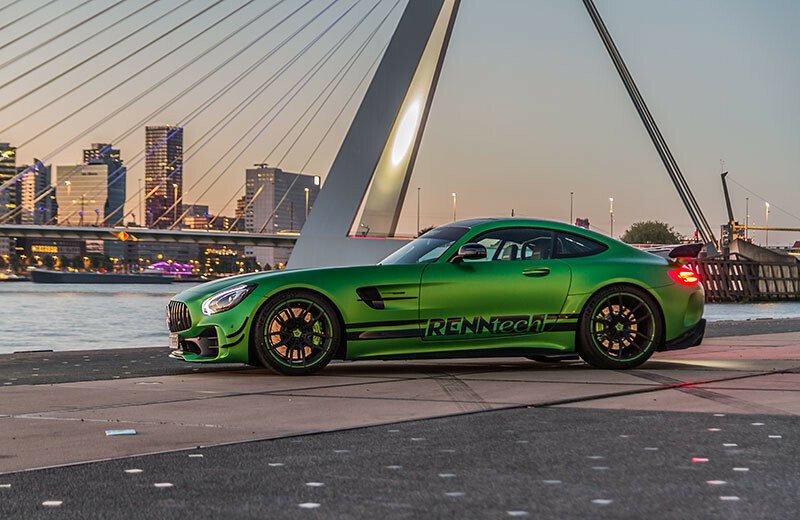 The engineers from RENNtech have next added a new set of Vossen wheels were added. 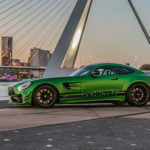 They measure 19 x 10 and 20 x 12 front and rear, respectively, and are wrapped in Michelin Pilot Sport Cup 2 ZP semi-slick tires, sized as well 285/30 ZR and 335/25 ZR 20. 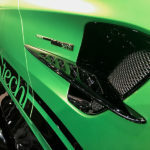 As for engine upgrades, the specialists installed as well some new technical bits that raise the sports car`s power. 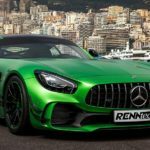 They have upgraded the engine`s software, installing as well blow-off valves, new turbochargers, high-flow air filter and a downpipe with a 200-cell cat. 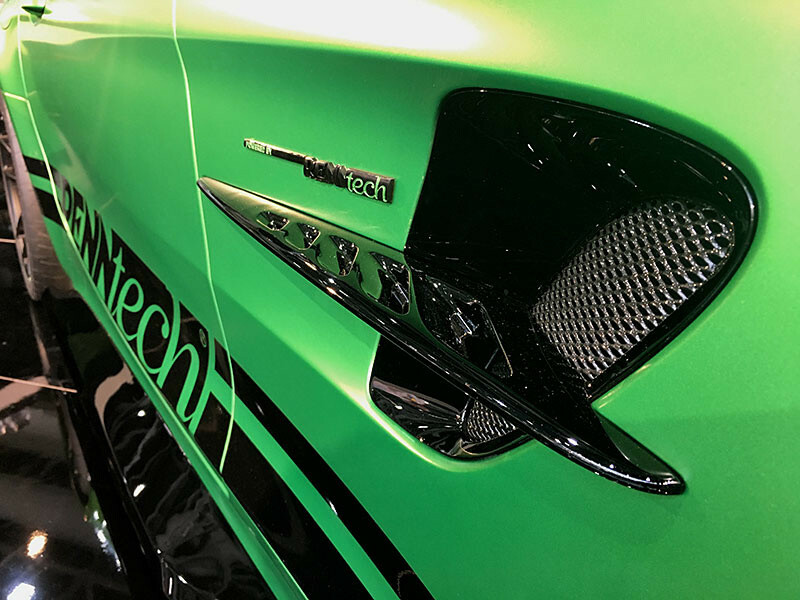 With all these in the right place, the the 4.0-liter Bi-Turbo variant is now outputting 825 horsepower and staggering 850 Nm of torque. 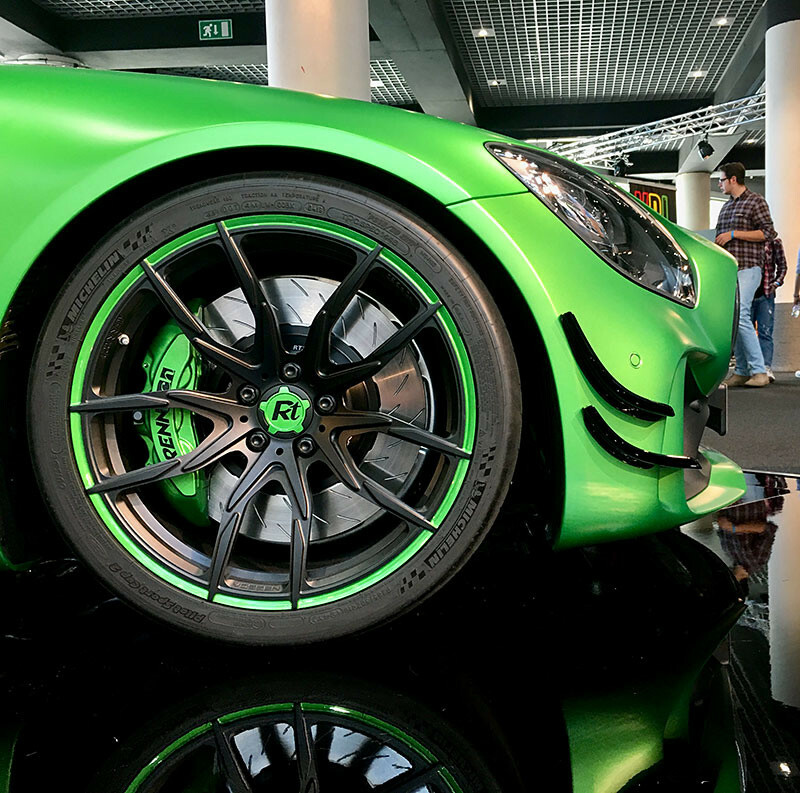 Giving the stock 3.6 seconds from standstill to 100 km/h, we except around 3.0 seconds from the same sprint. 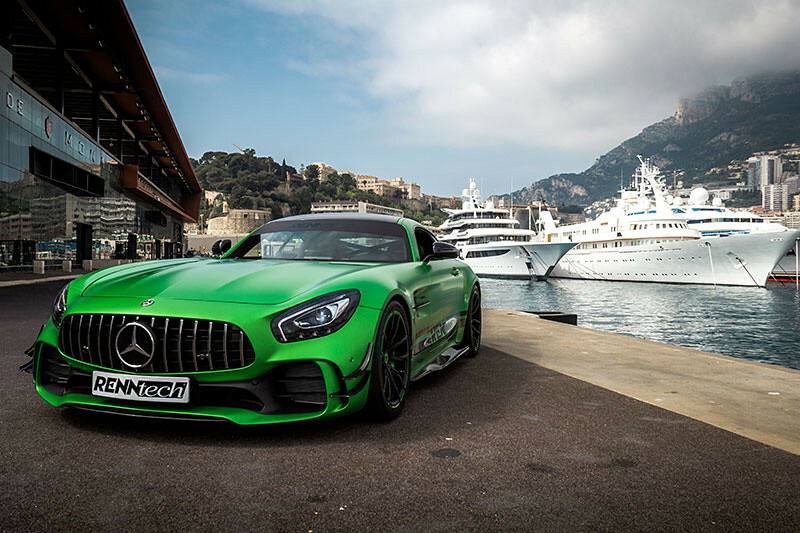 The top speed has not been messed around with, so this car reaches the same top speed of 310 km/h. 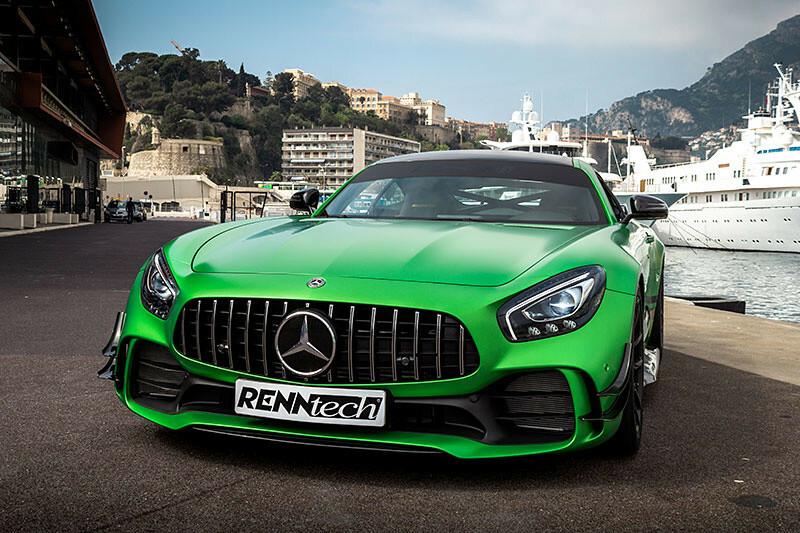 You can find more details about the Mercedes AMG GT R by RENNtech in the media gallery below!